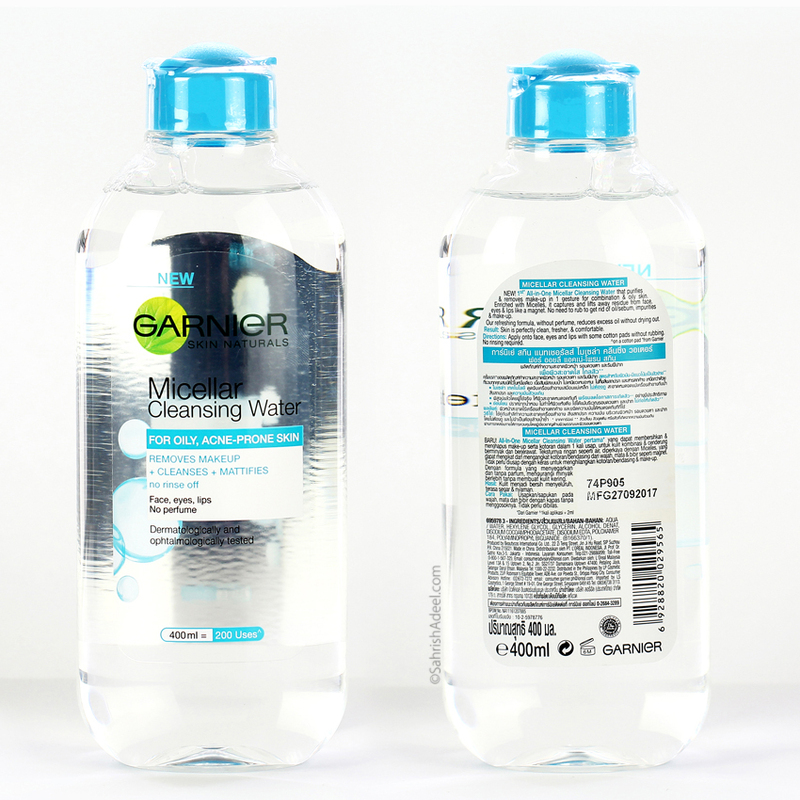 Garnier Micellar Cleansing Waters (All Three) - Reviews | Sahrish Adeel - Malaysia based Pakistani Beauty & Lifestyle Blogger! As someone who has a very sensitive skin and also a makeup junkie, I need good makeup removing solutions, else I end up breaking out really bad. 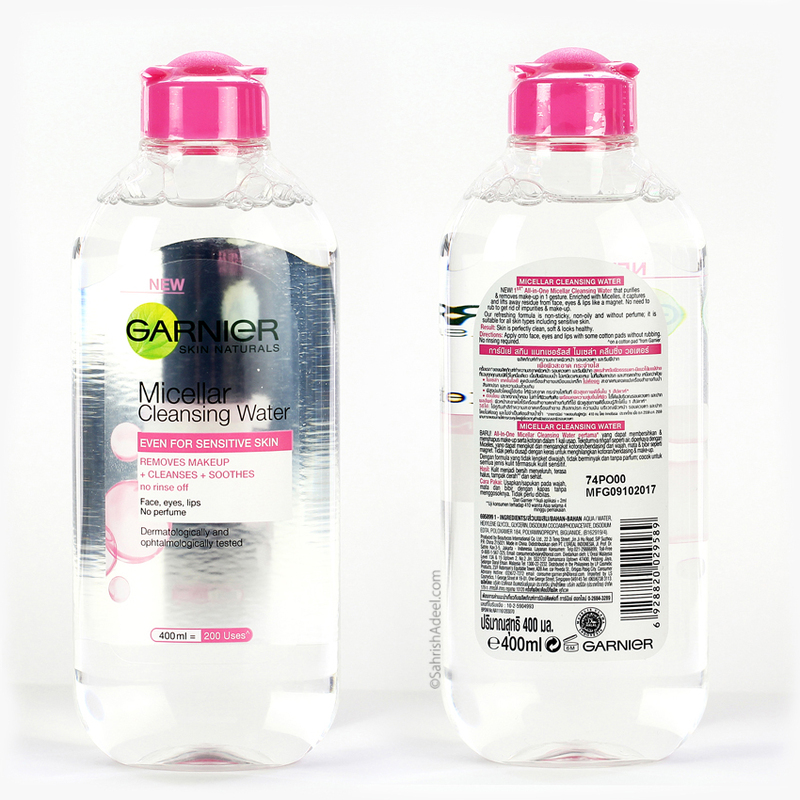 I was already a huge fan of all the micellar waters I tried by far and then I got my hand on Micellar Cleansing Waters by Garnier. Did they work? 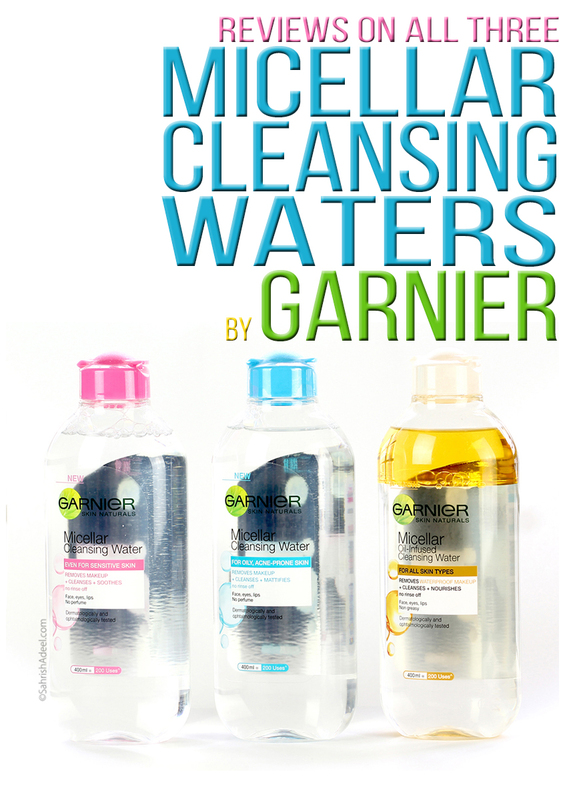 A smart 3 in 1 wonder: cleanses, removes make-up and soothes. Designed for sensitive skin, its effective yet gentle formula is loved by all skin types. The micelles (cleansing agents) within it act like ‘dirt magnets’, lifting away make-up and impurities. No rubbing, no rinsing. Simply apply to a cotton pad and gently wipe across your skin. 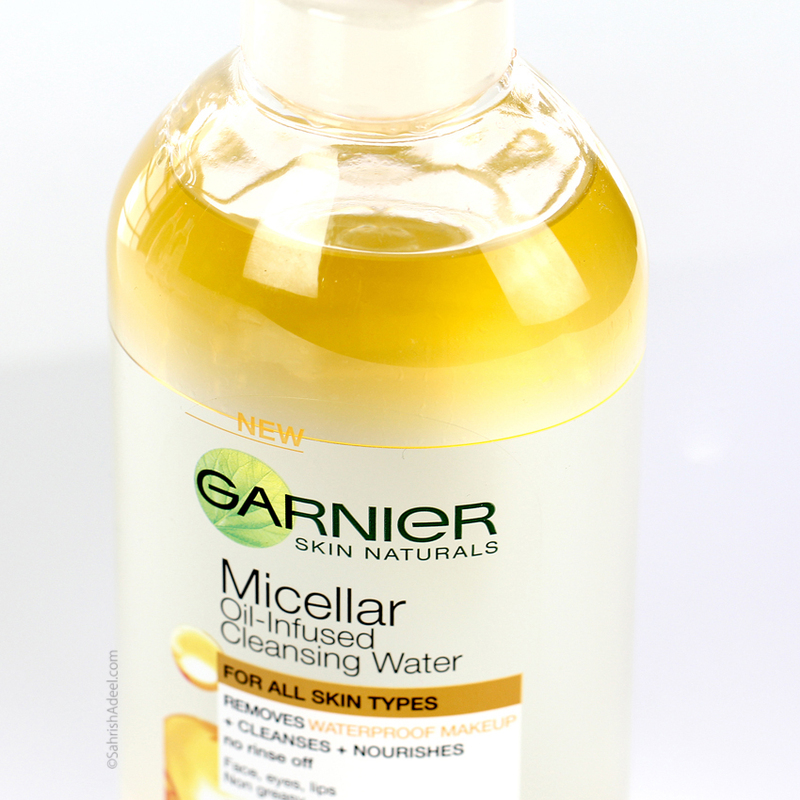 So I spotted oil-infused micellar water by Garnier a couple weeks ago at Guardian and instantly bought all three types. They only had 400 ml bottles in stock at that time and I knew I am committing big here and I might end up hating these because my skin has it's own mind when it comes to skincare but I still got all of them in full sized packaging. Let's review each of these so you can have a better idea as to what you actually need. Micellar Oil-Infused Cleansing Water is my most favorite of all three when it comes to removing overall makeup and also matte liquid lipsticks & waterproof makeup; especially mascaras and eyeliners. It cleanses the skin perfectly, leaving no residue of makeup behind. My skin feels so smooth at the end and plus point is, the skin does not feel oily or greasy at all. Oh, and it smells ah-mazing. This is only one of three with fragrance but it has not caused my skin to break out or act oilier which is the big problem I face when using oil-based makeup removers. Overall, this is my go-to cleanser because I use waterproof mascaras and matte liquid lipsticks most of the time. This one is suitable for all skin types. Please note that the oil separates on top so you must shake the bottle before use. You need it if you are looking for an all-in-one makeup remover that does not make you end up looking like an oily mess. Everyday makeup, waterproof makeup, those all-day wear lipsticks; you name it and it removes it. 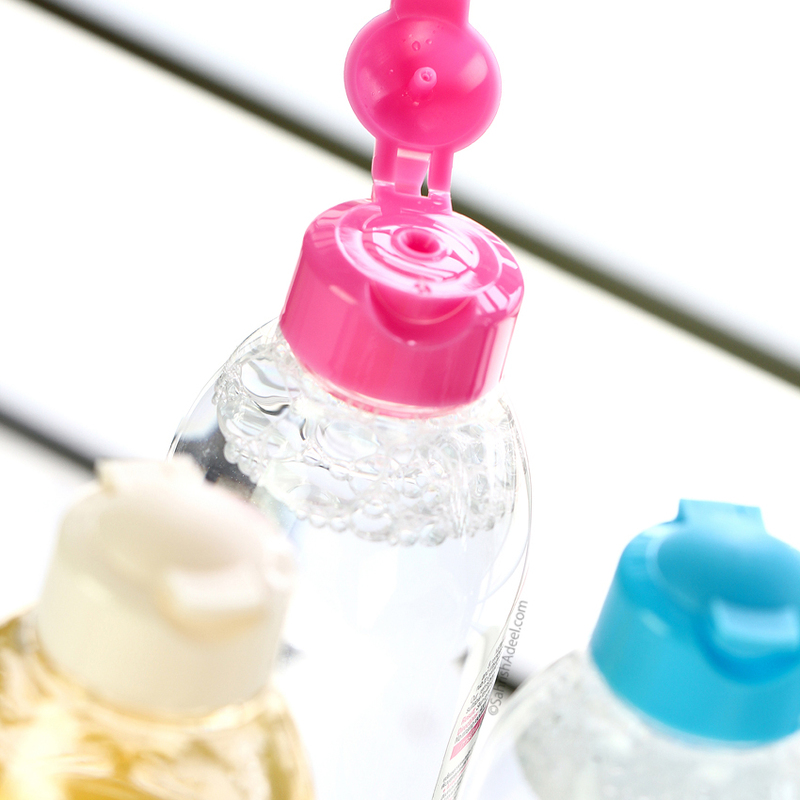 Micellar Water Even For Sensitive Skin has a pink cap and it is the most basic of all. Suitable for all skin types. It cleanses the skin, soothes and removes makeup pretty flawlessly except for waterproof makeup. It kind of removes waterproof liners eventually but I haven't had a perfect result with waterproof mascaras. It has not caused my skin to breakout at all. It is my second favorite of all three. Overall, it is a must-have cleanser if you are not into waterproof makeup on daily basis. You need it if you are not too much into waterproof stuff but need a makeup remover that does the job even for sensitive skin and does not leave you sore. Pure Active Micellar Cleansing Water has a blue cap and is specifically designed for oily and acne-prone skin types. I do have a very oily t-zone and this does work to mattify my skin while removing the makeup and cleansing the skin effectively but it does not remove waterproof makeup easily, just like the pink one so I don't always reach for it to be honest. I do not dislike it at all but it is my third favorite from all three of these. Overall, it does what it claims to do and if I did not have the pink one, I would have used this one instead. You need it if you are looking for an everyday makeup remover and you are not worried about removing waterproof makeup. You also have oily and acne prone skin and you want a remover that leaves you with a matte yet smooth and clean skin, this is your answer. All in all, I am loving these and I will be buying smaller packaging for traveling and I know that the only one I will be taking with me is Micellar Oil-Infused Cleansing Water as it meets all my needs. 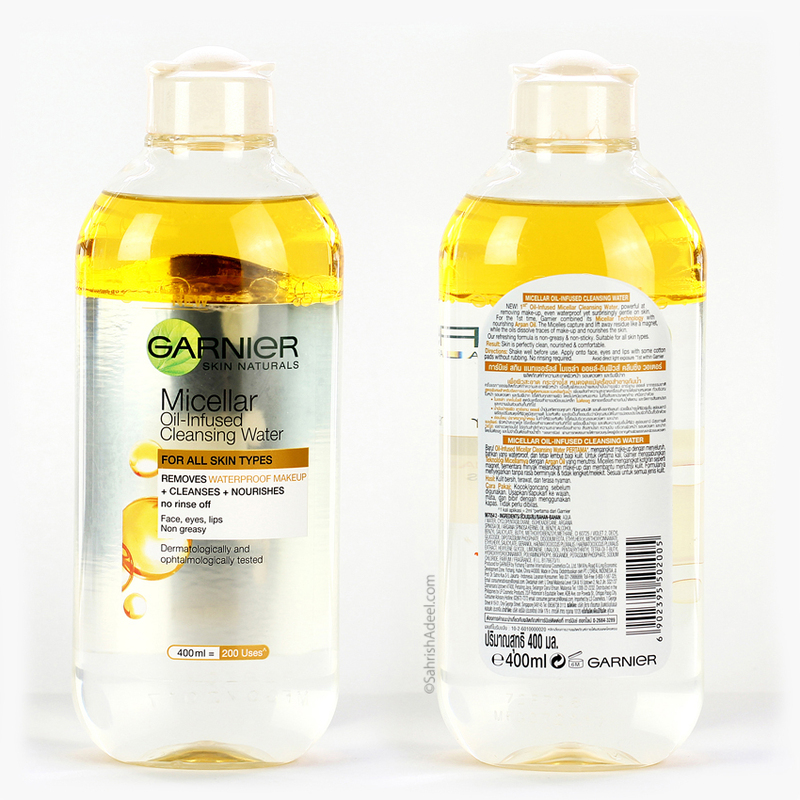 Garnier is available all over the world and since my readers are from all over the world too, I am including links to buy these babies down below and will mention prices and locations as much as I can. Garnier is also available on most drugstores worldwide. 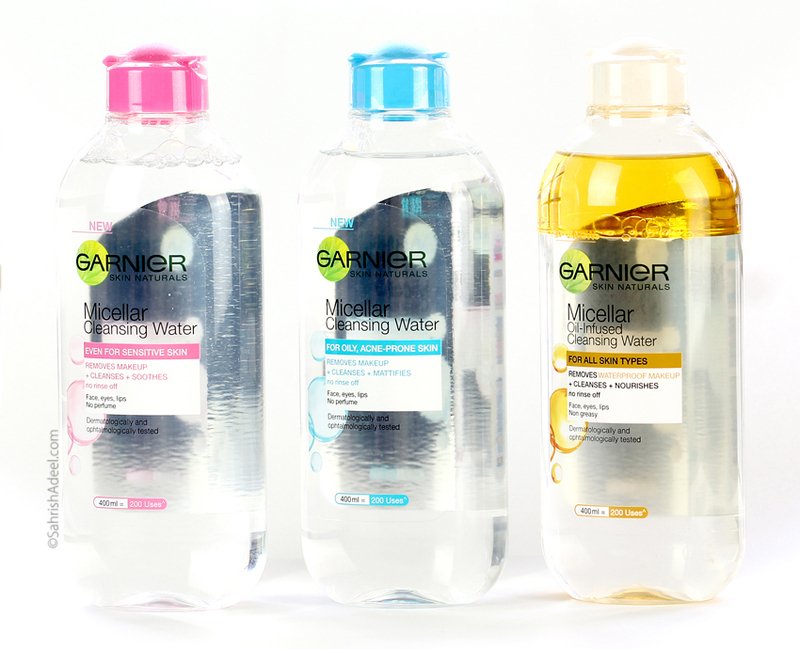 Have you tried Micellar Cleansing Waters yet? Which one should I try next? Leave a comment!